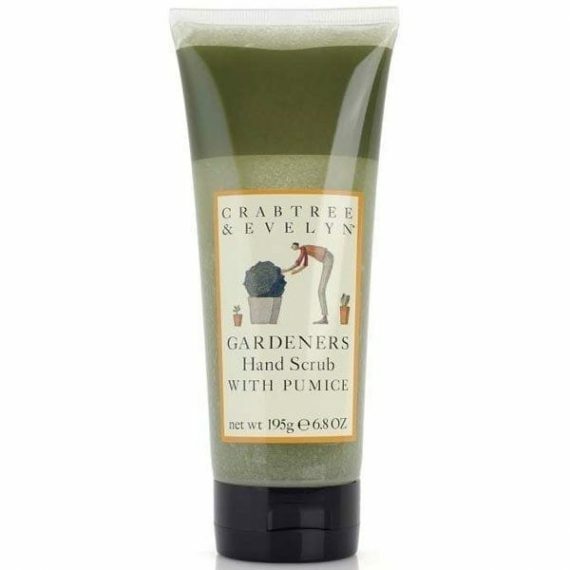 Gardeners Hand Scrub with Pumice from Crabtree & Evelyn now comes in a convenient new plastic tube! This gentle cleansing scrub is formulated with soothing comfrey herbs. Two sizes of ultra-fine pumice work together to gently lift soil from hands and nails. Gentle on skin – Ultra-fine pumice – Cleans hands and nails. Fragrance: Fresh green clover, lavender, sage rosemary and thyme.